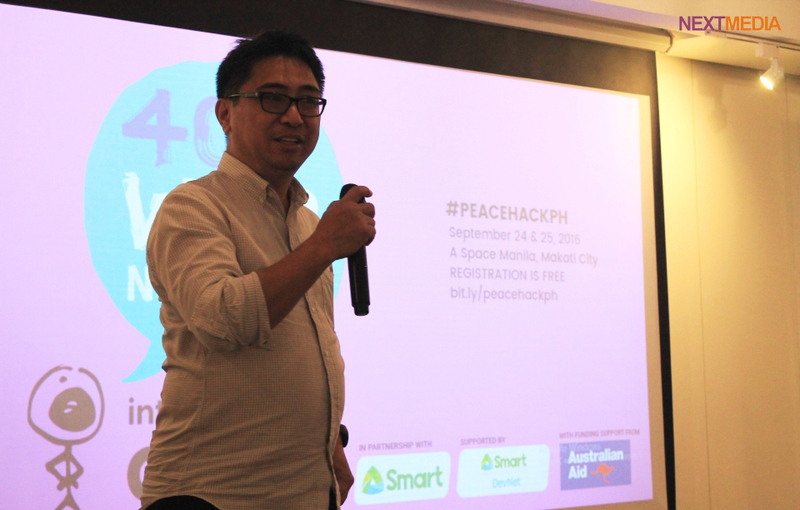 Darwin Flores, Community Partnerships Head, Smart Communications, Inc.
“A woman said: ”Everybody thinks that they are the good guys”. Lahat tayo (All of us). Even those we consider as our enemies or our opposites. And that is the origin of conflicts. We all think that we are the good guys. So, where is the conflict coming from? It’s because we think that we’re right, and we think we’re the good guys. On my way here, I was thinking “Paano ba natin malalaman na we are thinking we’re the good guys and the other guy is a bad guy?” (How will we know that we're thinking that we’re the good guys and the other guy is a bad guy?) There are pictures, images, or experiences that come forward whenever we see things. We basically grew with filters – a certain point of view. One of the organizers of this event is my friend. We were activists during Marcos’ time and we really think that Marcos is an evil person. On the other hand, our counterparts think that we are just troublemakers. Whenever we get caught, we are beaten up, and we are tortured. Many of my friends have been tortured, some even got killed. And that is because we are coming from a certain point of view. On a personal level, that is where I am coming from; but, from a company point of view, as a telecommunications company, communication is an essential element of our life. That’s the constant search that we’re looking for – “How do we unite with our opposites?”.